Vegetables have never been more popular, with the interest in natural, plant-based food at an all-time high. Meanwhile, the appetite for home baking shows no signs of abating. 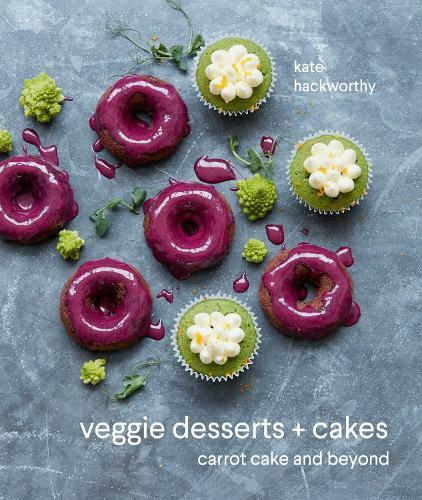 Food writer Kate Hackworthy, author of the popular site www.veggiedesserts.co.uk, has found a delicious way to combine the two, with this book of scrumptious cakes and desserts packed full of healthy veg. Pushing the boundaries of carrot cake, Kate puts vegetables into cakes, muffins, biscuits, tarts, brownies, pastries and even ice cream. Vegetables bring moisture, natural sweetness and extra nutrients to your baking, with the happy consequence that less refined sugar and fat is required, resulting in great-tasting treats that are also a lot less naughty.